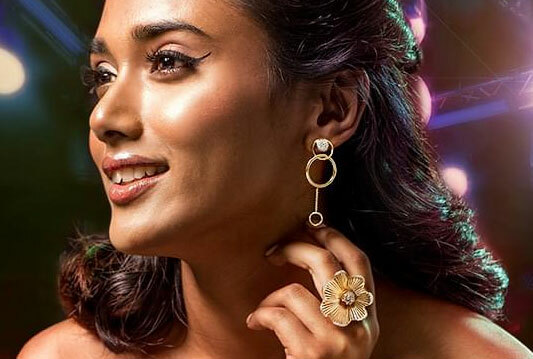 CaratLane Design Incubator (CDI) is a first-of-its-kind initiative by any jewellery brand in India to support 'design'prenuers' to bring individual talent into the industry. It is true that today jewellery designers find it increasingly difficult to break through. While ideas and inspirations can come in abundance, rarely does it get incubated into design concepts or later, take shape into actual collections. CaratLane, therefore, brings an opportunity to discover, promote and launch the next generation of jewellery designers, like you, who seek a real breakthrough. CDI will nurture jewellery designers with a 6-month mentorship, hands-on training from industry experts and a deep understanding of the key role of design in business. As a designer, you will not only witness your work of art take shape into real jewellery but also be appreciated with paid rewards and a certain royalty earned on the business drawn by your creations. CDI is an unparalleled platform to create 'design'prenuers' and with a recognizable and trusted platform - not just a design competition but a design and business incubator that is assessed by a team of professionals to help talented designers like you in your artistic and entrepreneurial growth.